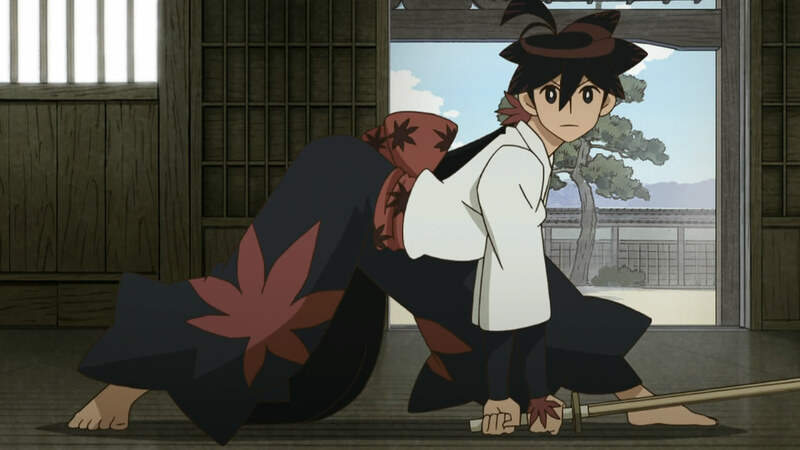 Shichika, pioneering in kendo with the Crab Stance. 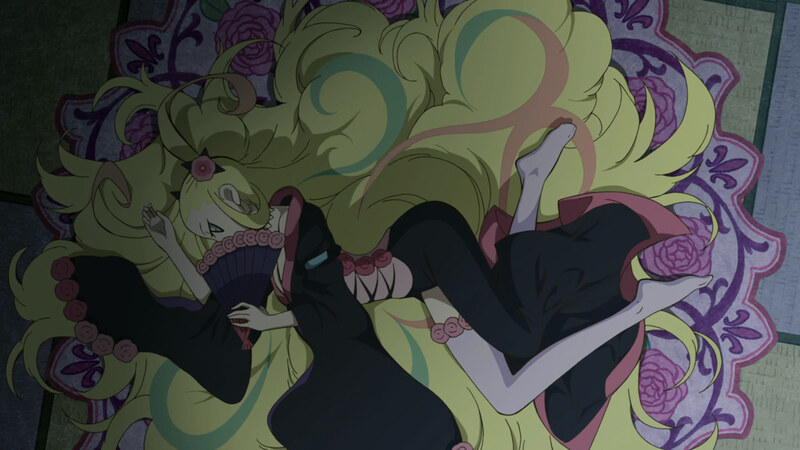 We are back with what will be the penultimate episode of this series of podcasts to discuss episodes 9 and 10 of Katanagatari. We have no special guests for you this time, but Jrow and I had a fun conversation about these 2 episodes featuring Shichika’s new love interest, ninja shooting ninja, gratuitous flashbacks, a little girl who’s actually an ancient man, a bloodline of denial, and Togame getting physical. Enjoy listening! Everything looks like sparkles when your eyes are filled with tears. Thanks as always to Jrow for his fine production work. We will be recording one final podcast next week on the last 2 episodes and the show overall; if you are interested in joining us, please shoot me an email at [email protected]. Considering the events in episode 12 looking back on episode 9, it felt to me like it was the point where togame was stuck between her act of being in love with Shichika and realizing she might actually be in love with him. If I recall correctly, the idea was that Togame would understand that her father loved her and wouldn’t want her spending her whole life for his sake. Where Togame understands that he loved her, the wiseman points out he doesn’t think togame quite got the point he was trying to get across and rather she became even more determined to follow through with her plans because of it. With regards to Houou’s arm, his ninja power is the ability to fuse other people’s body parts to himself in order to take their power. A lot of people theorize that Houou stole Emonzaemon’s face and that is why he wears the mask and has so many similarities in terms of ability. Ah, that explanation about Togame’s father makes sense, thanks. It was hard to parse out the message, because it was critical that Togame herself not get it, so that the events of the final episodes get set up. That’s an interesting theory about Houou’s ability. IIRC, he doesn’t display his own special ninpo before his mind goes in episode 11, but I do recall him and Emonzaemon going on about “You are me and I am you, etc.” so having taken his face sounds like an interesting way to explain it. Their past together is something I actually wish we were told more about, even if the details are incidental to the main story.